The definitions for a perfect retirement destination are about as varied as recipes for meatloaf in Illinois. We all have our preferences when it comes to how we want to spend our retirement years. Some want the tropical life of a beach dweller or an island experience where close interaction with the sea is of utmost importance. Others see themselves in a cool, mountain village with cobbled streets, awakened by the crowing of roosters, days spent detouring around burros on narrow lanes, shopping in open-air markets, or hiking community trails. Others prefer a modern, big-city environment where everything is close together, condensed for walkable convenience. Museums, orchestras, theaters, and opera, all available and affordable along with excellent medical care and limitless shopping. Then there are those who seek their best compromise. A safe city, large enough to provide good shopping options and modern medical care along with a low cost of living, a comfortable climate, and a great selection of restaurants. It would be absent the deep cultural impact brought about by a burgeoning expat population or the hustle of coastal tourist Meccas. And all that should be melded with art, music, and literature along with sufficient recreational opportunities to make your life a living postcard. 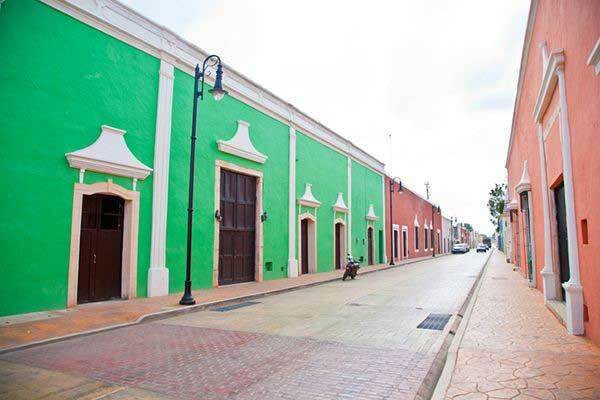 Wrap all this up in a visually pleasing package and you have Valladolid, Yucatan. 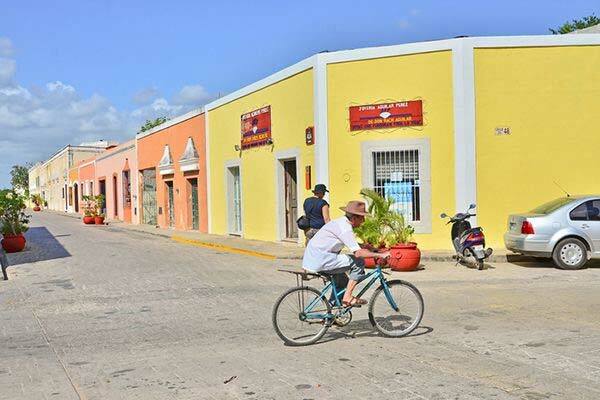 Valladolid, on Mexico´s Yucatan Peninsula, checks all the necessary boxes for a number of expats who have found it to be the perfect retirement solution. 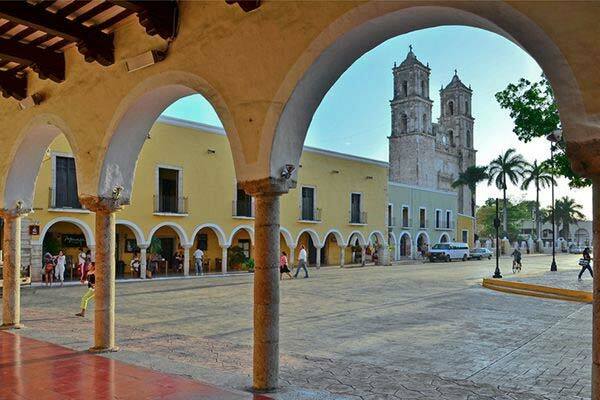 With a population of around 50,000, and comfortable weather throughout the year (temps normally in the 80s but can get into the high 90s for a few days in summer), this colonial city is located in the eastern part of the Yucatan Peninsula and is the third largest city in the state of Yucatan. With its rich history and magnificent colonial-era architecture, Valladolid offers plenty of exposure to indigenous culture in every aspect of daily life. Here, historic Spanish influences and ancient Maya culture exist side-by-side with the modern world, creating a rich, sumptuous experience. Mature local women, wearing traditional attire infuse the city with their vibrant embroidered dresses as they go about their shopping next to younger students carrying backpacks and texting their friends. Here, the ancient Mayan language is heard as often as Spanish. There are also modern super markets, auto dealerships, movie theaters, and a contemporary, functional infrastructure. A large fleet of taxis means you don’t have to own a car and for those who choose to drive, traffic is usually moderate with few delays. Never does Valladolid overwhelm you with big-city energy or lull you with the rhythm of a lullaby. Valladolid rests in the perfection of middle ground; Never too much and rarely too little. 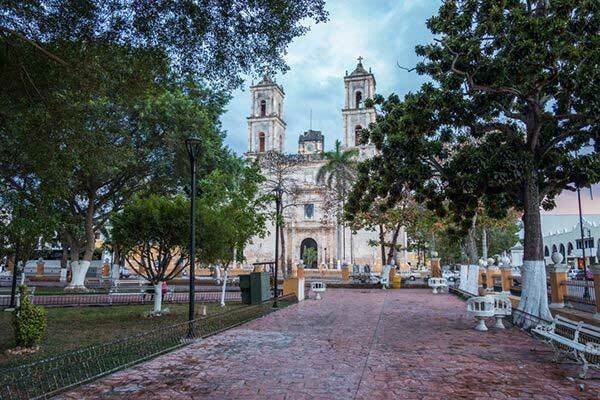 And it is a beautiful, easily accessible city, encouraging you to walk up and down the streets and explore the thousands of tiny shops, one after another while absorbing the ancient Maya culture and appreciating the spectacular architecture of the central historic district. Mexico offers an easily obtainable retirement visa providing for quick, permanent residency for those meeting the simple qualifications. The straight-forward process begins at the Mexican consulate in your home state. There, the consulate officer will verify your income based on the documents you provide, review a nominal number of other documents, and your completed application. After a short interview, if approved, you’ll likely depart with your permanent residency visa affixed to the inside of your passport. All legal residents over the age of 60 qualify for a discount card from INAPAM (Instituto Nacional para las Personas Adultas Mayores) facilitating discounts on a wide variety of goods and services. While public buses do run throughout the city, they run a complex route and for expats, the most efficient method of public transportation are the affordable and numerous taxis available throughout the city. Prices are geared toward the local population and are more than reasonable, cheap in fact. Three or four dollars can take you across town. Several hospitals offer first class medical care at reasonable prices, usually about one third the cost of hospitals north of the border. The San Lucas Medical Center is the newest and most modern hospital, however they do not offer all surgical options but do offer emergency medical care. The Clinica San Juan offers fewer services but is also available. Most seek care at the large general Hospital of Valladolid where all services are available. Cancun, about two hours away, offers seven major hospitals for those needs that can be scheduled and Merida, also about two hours away (in the opposite direction), offers the finest in medical care at nine hospitals and large clinics. Expat residents can qualify for Mexico’s health insurance plan called Seguro Popular or the IMSS program. Nearly all medications can be purchased directly from the pharmacy without a prescription (narcotics and strong antibiotics are obvious exceptions) and cost only a fraction of prices north of the border. Mexico’s Yucatan Peninsula has the reputation of being one of Mexico’s safest regions. Living in Valladolid provides easy access to the entire peninsula, including another gorgeous and larger city, Merida. If the beach is what you crave, you can visit the Gulf of Mexico to the north in about an hour and a half or head southeast for two hours to the Riviera Maya, Cancun, Playa del Carmen, and Tulúm. On those hot summer days when temperatures climb into the 90s, visit one of the many cenotes in the region. These underground sink holes permeate the area, many accessible to the public for a tiny fee. These natural pools of sparkling clear water are popular with locals and tourists alike and one of the more popular ones (Cenote Zaci) is located in the heart of downtown Valladolid, complete with beautiful landscaping and a good restaurant serving the regional favorites including Lomitos de Valladolid (slow cooked pork in tomato sauce). It is scrumptious! Valladolid has several niche museums as well as numerous neighborhood parks, each flanked by a traditional colonial church or cathedral. This city provides stunning photo opportunities, given the traditional indigenous attire of many local residents and the magnificent, Spanish colonial architecture. Many of the centuries-old structures were actually constructed out of the pilfered remains of ancient and sacred Maya edifices dating back more than a millennium. This is a city that can be wandered slowly, discovering interesting small shops and being surprised by the delicious simplicity of street food. Have lunch in a landscaped courtyard garden of a small hotel or find delight in an impromptu street performance. The food found in Valladolid is authentic to the region and heavily influenced by traditional Maya fare. Mexico’s reduced cost of living, compared to the U.S. and Canada, is well documented. Property can be purchased for far less than comparisons north of the border. And taxes are silly cheap, often only a few hundred dollars per year. The low cost of living is one of the primary factors why Mexico is home to more U.S. expats than any other country. There are many expats living in and around Valladolid who enjoy a wonderful life on a modest Social Security income of $1,000 to $1,500 per month and are still able to save enough money for a trip to the States once or twice per year. But, as it is everywhere else, your expenses depend on the lifestyle you choose to live and the choices you make. Valladolid provides a wonderful example of what a stress-free life can be, a place where everything seems…just right. That said, you will need to learn a bit of Spanish to feel comfortable in Valladolid. Valladolid is served by the large international Airport in Merida, about two hours away.